Looking to improve your customer relationship survey? If you’re about to send your annual customer relationship survey, maybe you’re looking for new questions to ask, or wondering what type of open ended questions you should include. Here, we share the 5 best practice questions that we have found through research, which are the most powerful by far. These questions will provide you with the best possible framework for getting authentic and valuable feedback from your customers, which subsequently will set the scene to drive positive change in your organization. Open-end questions in customer surveys are a terrific opportunity to apply the test-and-learn strategy of continuous improvement, how do you otherwise know you’re improving your efforts? The best thing you can do is to experiment with different questions over time to see what produces the most valuable feedback. The following questions are ideas that you could include. I don’t recommend adding all of these, as it would make your survey way too long and not all questions make sense for all companies. Instead, select one or two questions which will a) close the gaps in your knowledge in the best way possible and b) allow you to best monitor progress, as you are improving your products and services. Only you and your organization will know best what’s relevant. The ideas in this post are intended to provide inspiration! 1. What would you say to our CEO? I’ve heard a company use this question and personally, I really like it, as it feels very personal and relatable, and can create an instant connection. Straight up ask: “If you had 10 minutes with our CEO, what would you like him/her to know?”. This often gets you the unknown unknowns very fast. 2. What sort of things do you say about us? This response will highlight not only sentiment but also customer perception and intent to recommend. It’s open-ended in its true sense, where people might feedback freely, without overthinking the response. 3. What are the top challenges you are facing? Often, a line of questioning can be instrumental to surface hidden bottlenecks that you never thought about. 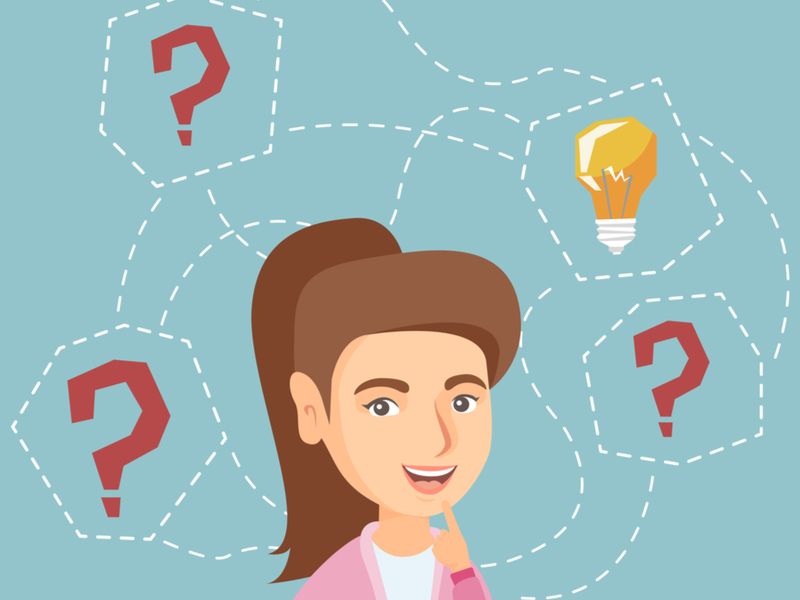 Asking these two questions will allow for new responses that may be unknown to you, and it’s an effective tactic as it ties your products and services to the customer’s biggest pain points. Alternatively, you can ask customers:”What is your goal when using our product/service?” or “What are you trying to accomplish when using our product/service?”. These questions are especially powerful as they are all about the customer, instead of about you (the company). In addition, they make it easier for you to understand your customers’ expectations and segment them accordingly, by different groups. Segmenting, by the way, is something you’re probably doing anyway (if not, you should), and it’s crucial as it provides a way to address and manage your customer experience by different customer sets and their different expectations. 4. How would you feel if you couldn’t use our products or services? This is one that might feel a bit unconventional, but essentially you’re trying to elicit feedback about potential workarounds, understanding your competitors, marketplace and how strongly they depend on your solution. If you are an important company that makes a difference in their life, you’ll know, and you will also know if it is the opposite. You could phrase this as “If our products or services were unavailable for one month, how would you feel and what impact would it have on your life?”. 5. What are our competitors doing better? This is one that companies’ often don’t ask, or don’t dare ask, but it can uncover plentiful hidden gems of insights. Then, analyze this data by competitor, it’s incredibly effective and insightful. Again, for superior and reliable analysis, you may want to use text analysis software and then map the key themes on a brand map or correspondence map to split key customer experience differentiators offered by your competitors. Alternatively, you can ask this in a generic fashion: ‘Compared to [Your company], what do other [industry] companies do to provide you with a better experience?’. If the respondent mentions the competitor’s name in their response, you can tag that response as belonging to that specific competitor, and do a similar analysis to the above. When you get your feedback, to facilitate getting the most reliable and accurate analysis, you want to run text analytics over it. You can easily do so with advanced software analysis tools (Thematic is such a tool). This way, you’ll identify regular themes that can be addressed from a quantitative perspective, and you might spot new issues you never even knew about. What is the one thing we could do..? This is a common question in surveys – and a mistake that lots of companies make. It can work in certain circumstances, but here’s why it’s best to steer away from it. If you ask “what’s the one thing we could do to improve” or “tell us the one thing we could do differently”, it means that if your customers have more than one thing to say, it can feel a bit inhibiting for them. These questions are often perceived to be more “actionable”, which is exactly why many companies ask it. Although, a problem with this question is that customers are often not aware of what’s in fact possible or not. They don’t know the intricacies of your culture, your processes and how much your willing and able to change. A different approach could be, just as mentioned above, to instead of (or in addition to) asking customers to tell us straight up what to do to make them happy, we should (also) ask and listen carefully to their current needs, priorities, challenges, concerns, goals, and so on. Thus, you solicit a better balance of positive and negative answers, rather than only focusing on the bad things. So, we suggest your respondents get a chance to comment on what they do know. It can be something like “What would you say to a friend about what it’s like to be our customer and why?”. Asked this way, it still highlights the functional and emotional aspects but you are getting an honest appraisal of how they feel about you now, rather than a speculative response about something that may never happen anyway.